As defined in the Code of Virginia § 4.1-100, any place, building, or conveyance to which the public has, or is permitted to have, access, including restaurants, soda fountains, hotel dining areas, lobbies and corridors of hotels, and any park, place of public resort or amusement, highway, street, lane, or sidewalk adjoining any highway, street, or lane. The term shall not include (i) hotel or restaurant dining areas or ballrooms while in use for private meetings or private parties limited in attendance to members and guests of a particular group, association or organization; (ii) restaurants licensed by the Board in office buildings or industrial or similar facilities while such restaurant is closed to the public and in use for private meetings or parties limited in attendance to employees and nonpaying guests of the owner or a lessee of all or part of such building or facility; (iii) offices, office buildings or industrial facilities while closed to the public and in use for private meetings or parties limited in attendance to employees and nonpaying guests of the owner or a lessee of all or part of such building or facility; or (iv) private recreational or chartered boats which are not licensed by the Board and on which alcoholic beverages are not sold. As defined in the Code of Virginia § 4.1-100, includes soliciting or receiving an order for; keeping, offering or exposing for sale; peddling, exchanging or bartering; or delivering otherwise than gratuitously, by any means, alcoholic beverages. Any activity that is conducted or sponsored by a University office, department, or by University personnel, and is done on behalf of the University, whether the activity is conducted on or off Grounds. University employees who have a direct reporting relationship that culminates with the Board of Visitors or who are appointed through University Human Resources and paid through University payroll to perform services that are subject to the will and control of the University. Land or buildings that the University owns or leases and that is under the control of the Board of Visitors. University property also includes premises the University uses for activities of its offices, departments, personnel, or students. The University of Virginia prohibits the illegal or otherwise irresponsible use of alcohol and other drugs. It is the responsibility of every member of the University community to know the risks associated with substance use and abuse. This responsibility obligates students and employees to know relevant University policies and federal, state, and local laws, and to conduct themselves in accordance with these laws and policies. To these ends, the University publishes the following information regarding University policies and sanctions, laws, and penalties concerning substance use and abuse, health and behavioral risks of drug use, and resources for treatment and educational programming. Virginia law prohibits: drinking in unlicensed public places; possession, consumption, or purchase of an alcoholic beverage by a person under 21 years of age; falsely representing one's age for the purpose of procuring alcohol; purchasing, giving, providing, or assisting in providing an alcoholic beverage for a person who is under 21 years of age; public intoxication; and providing alcohol to an intoxicated person. The University of Virginia assumes no responsibility for any liability incurred at any event not sponsored by the University where alcohol is served and/or sold. Students and members of Contracted Independent Organizations or of organizations with a Fraternal Organization Agreement are obliged to conduct themselves in accordance with the laws of the Commonwealth of Virginia and assume full responsibility for their activities and events. Except as expressly permitted in this policy under Item 10 of the "Areas of Emphasis," any use of alcohol (a) in a public area on University property or (b) at a University function (for more information, see the definition of University Office or Department) in which University of Virginia students will be present must be approved a minimum of five business days in advance in writing by the Vice President and Chief Student Affairs Officer or his or her designee using the online Approval Request for Use of Alcohol Beverages form. Alcoholic beverages may not be served at any University function or event held on University property that will be attended by underage University of Virginia students. Requests for exceptions must be presented to the Vice President and Chief Student Affairs Officer or his or her designee. If an exception is granted, personnel trained in the University's Alcohol Risk Management program must be present to supervise the service of alcohol. The Event Manager(s) must successfully complete the University's free online Alcohol Risk Management class (see course details and registration). Events, whether planned or spontaneous, involving the possession, distribution, and/or consumption of alcoholic beverages are prohibited in and around the first-year residence halls. Non-alcoholic beverages and food items must be present at University functions where alcoholic beverages are served. Alcoholic beverages may not be mentioned in the advertising or publicizing of a University function. Event sponsors serving alcohol at University functions shall not permit the entry or exit of persons with beverage containers. Event managers must check for proper age identification of individuals attending events when alcohol is served and underage UVA students may be present. A student may not let another person use his or her ID for the purpose of obtaining an alcoholic beverage, nor may a student use another person's ID to obtain alcoholic beverages. University Dining Services, the University Programs Council, and Nutrition Services have ABC licenses for the purpose of serving alcoholic beverages on University property and may be contracted to provide this service. Members of the University community living in University property and their invited guests who are lawfully permitted to purchase, possess, and use alcohol may do so in the residence or on any immediately adjacent area devoted to residential use; they should not do so, however, in public places or in any area on University property devoted to common use. The presence of underage family members, employees, or guests does not preclude the serving of alcohol in a residence that is University property, provided an appropriate of-age family member and/or host is willing to assume the legal responsibility for ensuring compliance with Virginia and federal law and University policy. Possession of kegs, pony kegs, or beer balls is prohibited in residence facilities that are University property. For events requiring University approval to serve alcohol as outlined in Item 1 of the "Areas of Emphasis," the event sponsor is responsible for following all federal and Virginia laws and University policies that apply to the serving and/or selling of alcoholic beverages. Any student found in violation of this policy is subject to the entire range of University Judiciary Committee sanctions described in the Statement of Students' Rights and Responsibilities, including suspension and expulsion. University personnel found in violation of this policy are subject to appropriate personnel sanctions. Unauthorized manufacture, distribution, use, and possession of "controlled substances" (illegal drugs), including prescription drugs, marijuana, and cocaine, are prohibited by both Virginia and federal law and are punishable by severe penalties. The University does not tolerate or condone such conduct. Students and employees who violate Virginia or federal drug laws may be referred by University authorities for criminal prosecution. Whether or not criminal charges are brought, all students and employees are subject to University discipline for illegally manufacturing, distributing, possessing, or using any controlled substance (i) on University property, (ii) at University functions, or (iii) under other circumstances involving a direct and substantial connection to the University. Any student found to have engaged in such conduct is subject to the entire range of University Judiciary Committee sanctions described in the Statement of Students' Rights and Responsibilities, including suspension and expulsion. University personnel found in violation of this policy are subject to appropriate personnel sanctions. Federal and Commonwealth of Virginia (Virginia) Penalties. Federal and Virginia law penalizes the unlawful manufacturing, distribution, use, and possession of controlled substances, including prescription drugs. Synthetic designer drugs such as "bath salts," "plant food," and "carpet cleaner," contain mixtures of many different chemicals, including those that resemble cocaine, methamphetamine, and MDMA or "ecstasy." Federal law makes the distribution of "analogue" substances marketed for human consumption illegal if those substances are chemically similar to a scheduled illegal drug and have the same pharmacological effect on a user. The penalties vary based on many factors, including the type and amount of the drug involved, and whether there is intent to distribute. Federal law sets penalties for first offenses ranging from less than one year to life imprisonment and/or fines up to $10 million. Penalties may include forfeiture of property, including vehicles used to possess, transport, or conceal a controlled substance, and the denial of professional licenses or federal benefits, such as student loans. Convictions under Virginia law may be misdemeanor or felony crimes with sanctions ranging from probation to life imprisonment and/or fines of up to $1 million. Federal law holds that any person who distributes, possesses with intent to distribute, or manufactures a controlled substance on or within one thousand feet of an educational facility (defined as a public or private elementary, vocational, or secondary school or a public or private college, junior college, or university) is subject to a doubling of the applicable maximum punishments and fines. A similar Virginia law carries sanctions of between one and five years imprisonment and up to a $100,000 fine for similar first-time violations. Intercollegiate Athletics Department’s Drug/Alcohol Policy. The Intercollegiate Athletics Department of the University has additional written policies which are presented to each student-athlete annually prior to participation. These policies encompass mandatory drug testing, sanctions as a result of positive tests, specific programs of education relative to drug and alcohol use and abuse, and counseling and rehabilitation programs. The negative physical and mental effects of the use of alcohol and other drugs are well documented. Use of these drugs may cause: blackouts, poisoning, overdose, and death; physical and psychological dependence; damage to vital organs such as the brain, heart, and liver; inability to learn and remember information; and psychological problems, including depression, psychosis, and severe anxiety. Risks associated with specific drugs are described later in this section. Impaired judgment and coordination resulting from the use of alcohol and other drugs are associated with DUI/DWI arrests; falls, drowning, and other injuries; contracting sexually transmitted infections, including HIV; and unwanted or unplanned sexual experiences and pregnancy. Substance abuse by family members and friends may also be of concern to individuals. Patterns of risk-taking behavior and dependency not only interfere in the lives of those with substance use disorders, but also can have a negative impact on the affected student's academic work, emotional well-being, and adjustment to college life. Individuals concerned about their own health or that of a friend should consult a physician or mental health professional. More information and assistance can be obtained by contacting one of the University's substance use disorder resources listed in the Resources on Alcohol and Other Drugs section of this policy. Under the Commonwealth of Virginia’s Safe Reporting of Overdoses law, someone who seeks emergency medical attention for a drug- or alcohol-related overdose may be protected from being convicted for certain possession or intoxication crimes. The person reporting the overdose must identify themselves as being the one who reported the overdose, and must be cooperative with any law enforcement investigation that results from the overdose. Alcohol: Alcohol use disorders are progressive and can result in physical dependency. Even low doses of alcohol impair brain function, judgment, alertness, coordination, and reflexes. Very high doses can cause suppression of respiration and death. Chronic alcohol use can lead to dementia, sexual impotence, cirrhosis of the liver, and heart disease. Individuals who have developed a physical dependence on alcohol can experience severe anxiety, tremors, hallucinations, and life-threatening convulsions if they stop use suddenly instead of gradually. Bath Salts (synthetic cathinones): Synthetic drugs, unlike plant-based drugs, are produced in a laboratory and resemble controlled substances in molecular structure and actual (or purported) physiological effect. These synthetic drugs contain mixtures of many different chemicals, including those that resemble cocaine, methamphetamine, and MDMA or "ecstasy." Ingestion of these substances can cause severe and unanticipated physical reactions such as nausea, heart failure, and stroke, as well as psychotic reactions including paranoia, delusions, suicidal ideation, and violent outbursts. Under federal law, they are considered Controlled Substance Analogues and subject to the same penalties as the drugs they mimic. Cocaine: Cocaine stimulates the central nervous system. Immediate physical effects include dilated pupils and increased blood pressure, heart rate, respiratory rate, and body temperature. Occasional use can cause a stuffy or runny nose, while chronic use may destroy nasal tissues. Following the "high" of extreme happiness and a sense of unending energy is a cocaine "crash," which includes depression, dullness, intense anger, and paranoia. Injecting cocaine with contaminated equipment can lead to infection with HIV, hepatitis, and other diseases. Tolerance develops rapidly, and psychological and physical dependency can occur. The use of cocaine can cause kidney damage, heart attacks, seizures, and strokes due to high blood pressure. Death can occur by cardiac arrest or respiratory failure. Depressants: Barbiturates and benzodiazepines are two of the most commonly used groups of these drugs. Barbiturates include Phenobarbital, Seconal, and Amytal; benzodiazepines include Ativan, Dalmane, Librium, Xanax, Valium, Halcyon, and Restoril. These drugs are frequently used for medical purposes to relieve anxiety and to induce sleep. Physical and psychological dependence can occur if the drugs are used for longer periods of time at higher doses. Benzodiazepine use can cause slurred speech, disorientation, and lack of coordination. If taken with alcohol, use can lead to a coma and possible death. Ecstasy/Molly: MDMA (3,4-methylenedioxy-methamphetamine), popularly known as ecstasy or "Molly" (short for molecular), is a synthetic, psychoactive drug that has stimulant and hallucinogenic effects. Ecstasy increases energy and produces feelings of euphoria, emotional warmth, and empathy toward others as well as distorting time perception. MDMA acts by increasing the activity of three neurotransmitters: serotonin, dopamine, and norepinephrine. Other effects include confusion, depression, sleep problems, drug craving, and anxiety, which may occur days or weeks after use. Hallucinogens: This category includes phencyclidine (PCP or "angel dust") and amphetamine variants, which have mind-altering effects. Perception and cognition are impaired, and muscular coordination decreases. Speech may be blocked and incoherent. Chronic users of PCP may have memory problems and speech difficulties lasting six months to a year after prolonged daily use. Depression, anxiety, and violent behavior also occur. Large doses produce convulsions, comas, and heart and lung failure. Lysergic acid dyethylamine (LSD or "acid"), mescaline, and psilocybin (mushrooms) cause illusions, hallucinations, and altered perception of time and space. Physical effects include dilated pupils, elevated body temperature, increased heart rate and blood pressure, decreased appetite, insomnia, and tremors. Psychological reactions include panic, confusion, paranoia, anxiety, and loss of control. Flashbacks, or delayed effects, can occur even after use has ceased. Marijuana (Cannabis): Physical effects include elevated blood pressure, a dry mouth and throat, bloodshot and swollen eyes, decrease in body temperature, and increased appetite. Smoking cannabis can lead to chronic lung disease and damage to the pulmonary system. Use of marijuana is also associated with impairment of short-term memory and comprehension, an altered sense of time, and a reduction in the ability to perform motor skills such as driving a car. Marijuana abuse also can produce listlessness, inattention, withdrawal, and apathy. Abuse can intensify underlying emotional problems and is associated with chronic anxiety, depression, and paranoia. Narcotics: Narcotics include heroin, methadone, morphine, codeine, OxyContin, Vicodin, and opium. After an initial feeling of euphoria, usage causes drowsiness, nausea, and vomiting. Effects of overdose include slow and shallow breathing, clammy skin, convulsions, coma, and possible death. Physical and psychological dependence rates are high. Severe withdrawal symptoms include watery eyes, runny nose, loss of appetite, irritability, tremors, panic, cramps, nausea, chills, and sweating. Use of contaminated syringes may lead to infection with HIV, hepatitis, and other diseases. Stimulants: Amphetamines and other stimulants include "ecstasy" and "ice" as well as prescription drugs such as Adderall and Ritalin. The physical effects produced are elevated heart and respiratory rates, increased blood pressure, insomnia, and loss of appetite. Sweating, headaches, blurred vision, dizziness, and anxiety also may result from use. High dosage can cause rapid or irregular heartbeat, tremors, loss of motor skills, and even physical collapse. Long-term use of higher doses can produce amphetamine psychosis, which includes hallucinations, delusions, and paranoia. Synthetic marijuana (Spice, K2):. Spice, K2 and and other "incense blends" are products that contain dried, shredded plant material along with synthetic forms of THC, the psychoactive component of the Cannabis sativa plant (marijuana). The exact chemical composition of the products is unknown, may vary across brands and batches, and may contain harmful heavy metal residues. Synthetic cannabinoids bind to the same brain receptors as natural marijuana, but several strains bind more strongly to the receptors, which could lead to much more powerful and unpredictable effects. Short-term effects may include rapid heart rate, vomiting, agitation, confusion, and hallucinations. Gordie Center for Substance Abuse Prevention — The coordinating body for substance abuse prevention and education at the University. (gordiecenter@virginia.edu or 924- 5276). University Police Department — Officers provide information and seminars in the legal aspects of areas related to substance abuse (924-7166). Alcohol and Drug Abuse Prevention Team (ADAPT) — A peer education group sponsored by Student Health's Gordie Center for Substance Abuse Prevention that promotes awareness, provides educational outreach, and serves as accessible resources for students (adapt-uva@virginia.edu or 924-5276). Peer Health Educators (PHEs) — A peer education group sponsored by Student Health's Office of Health Promotion that provides informal educational sessions on alcohol, drugs, and other health issues (924-1509). Student Athlete Mentors (SAMs) — The Gordie Center for Substance Abuse Prevention and the Intercollegiate Athletics Department recruit and train members of each athletic team to coordinate alcohol education programs for their teams and to serve as internal resources on University services (924-5276). Hoos in Recovery — A social support network of University undergraduate and graduate students, staff, faculty, and alumni in recovery from substance use disorders. Sponsored by Student Health's Gordie Center for Substance Abuse Prevention, the group meets weekly in addition to monthly social events (HoosInRecovery@virginia.edu or 924-5276). Brief Alcohol Screening and Intervention for College Students (BASICS) – Student Health's Gordie Center for Substance Abuse Prevention coordinates this confidential, evidence-based program available for UVA students who want to learn how their alcohol use compares to others and to explore moderation strategies to reduce negative consequences. Registration is available at www.virginia.edu/basicsprogram. Student Health - Counseling and Psychological Services (CAPS) — CAPS provides assessment, counseling, medication management and referral assistance for students seeking help with substance abuse concerns. CAPS is also available to consult with staff, faculty, family members and friends who may be concerned about a student’s substance use (434-243-5150). Faculty and Employee Assistance Program (FEAP) — The University through FEAP offers employees and their families assessment, brief counseling, referral, and follow-up with common concerns at no cost to the employee. FEAP will also provide consultation to supervisors and managers to assist in addressing employee/team challenges. Please call FEAP at 434.243.2643 to speak with a counselor or visit their website. 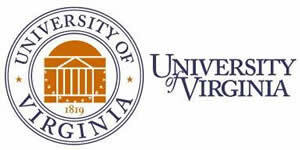 UVA Center for Leading Edge Addiction Research (CLEAR) — A research based treatment clinic that combines medications, which target different brain pathways known to be involved in the rewarding effects of drugs, with behavior-changing techniques in an effort to reduce craving associated with substance abuse (434-243-0541). Please submit the Approval Request for Use of Alcohol Beverages to request approval. This form must be submitted at least five (5) business days prior to the proposed event. A registered account is required to submit the online form. Do I Need a Banquet License? Banquet licenses are offered for a variety of situations in which alcoholic beverages may be served on a temporary basis, generally for nonprofit purposes. If ALL of the following criteria are met for the event, then no license is needed (unless required by locality or facility). Alcohol purchased for the event is NOT from a wholesaler/distributor. In all other cases, a license is needed and is bound by the information presented below. Contact your regional ABC office with any questions. This license is issued to individuals (representing themselves or a group/company) for private events where alcohol is provided at no charge to guests. Also known as a “one-day” license. Authorizes complimentary beer, wine or mixed beverages; guests may bring their own alcohol; and beer and/or wine sales (not for profit). This license is issued to duly organized, nonprofit corporations and associations raising money for athletic, charitable, educational, political or religious purposes. Apply for all banquet licenses using eBanquet. You may use your credit card. Banquet applications may be completed online if submitted at least 12 days prior to the event date. Revision History: Updated 8/30/17, 6/4/14, 11/6/12, 9/14/10, 10/8/08, 10/1/07. Sale of Alcoholic Beverages VII.F.3 and the 2004-05 Drug and Alcohol Policy.